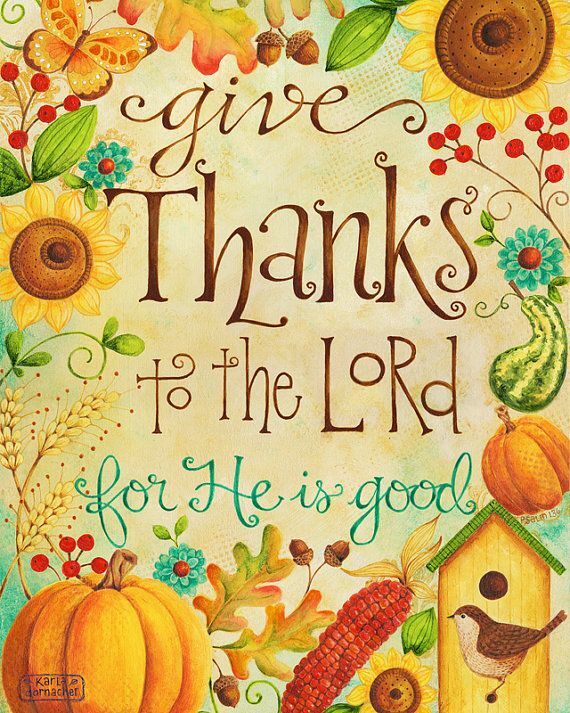 I have three half-days this week - and they will be filled with Thanksgiving Fun! 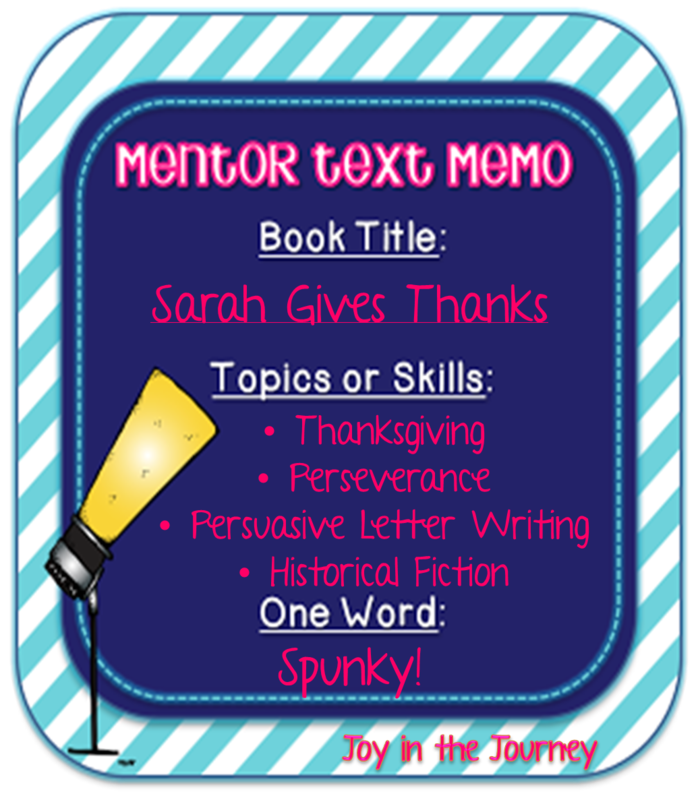 to share a great Thanksgiving book! Amazon description: During the nineteenth century, Sarah Josepha Hale dedicated her life to making Thanksgiving a national holiday, all while raising a family and becoming a groundbreaking writer and women's magazine editor. Sarah Hale's inspiring story, accompanied by luscious watercolor illustrations, tells the tale of one woman who wouldn't take no for an answer. Because my students have a preconceived notion about what the first Thanksgiving looked like, I want to dispel their visions of shiny buckle-wearing pilgrims feasting on turkey with their new Indian BFFs. Scholastic has created an awesome series of videos that show what life was really life on the Mayflower, in the Plymouth Plantation, and during the first Thanksgiving meal. Then, to extend the book further, I like to read my kids this interview with the author of the story, Mike Allegra. He is quite quirky and my students find him interesting and relate-able. And lastly, we've been focusing on what we're thankful for in class. 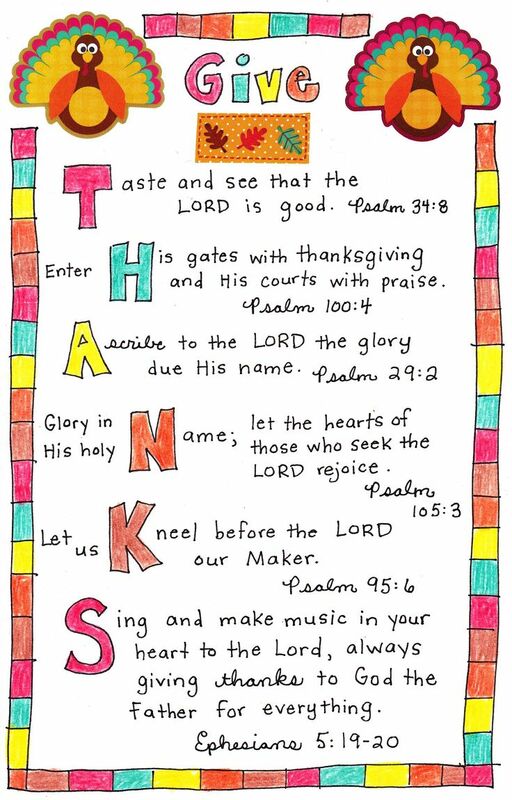 Stay tuned tomorrow for a post of Thanksgiving bulletin board/art activity ideas! I put this picture up on the projector and then kiddos create their own artistic versions. I laminate them and send them home as a gift on Wednesday before Thanksgiving. Sparking Student Motivation: Angry VERBS! When Book Characters Come to Life! Sparking Student Motivation: M&M Math! Sparking Student Motivation: Fly Swatters!